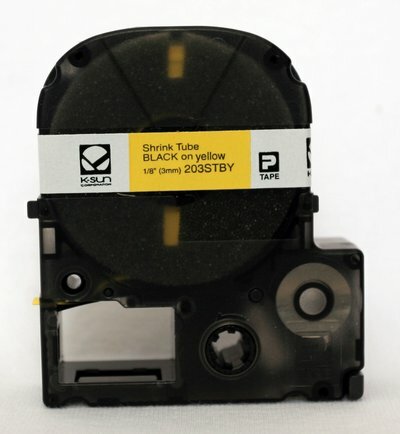 203STBW – K-Sun Black on Yellow (3mm) 1/8″ (Inside Diameter) Tape Cartridge. Polyolefin Shrink Tube Material. Shrink Tube Cartridges are 96″(2.5 Metres) long.